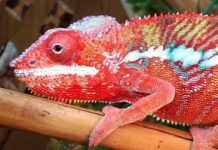 Here we have simply stated out facts about reptiles, then the distinctive characteristics of reptiles and at last we have done the most common type of classification of reptiles along with the picture. Reptiles are cold blooded air-breathing vertebrate animals that are categorized by their scales, dry skins and eggs laying characteristics. Reptiles have backbone and spines i.e. they are vertebrates. Reptiles have scales on their bodies and have a dry skin. Reptiles have lungs and need air to breathe. Reptiles either have four legs or have no legs at all. Reptiles have ear holes instead of ears. The primary difference between amphibians and reptiles is that reptiles show a set of characteristics understandable as adaptations to life on land at a fairly long distance from water. It goes without saying that several amphibians also live on land, many have an aquatic larval stage. Apart from that, amphibians are usually found in water and are unlikely to live even few meters from water such as in vegetation or humus. Reptiles, on the other hand, normally dwell far away from water but they can also endure mesic (moist) places along with xeric (dry) settings. 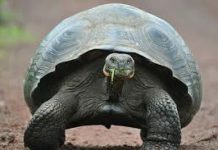 Like all living things, reptiles also require water for their physiological growth; some reptile species take water from their diet while others drink through conservative metabolic processes, still few rely on infrequent drinking. In order to understand the nature of reptiles, we need to emphasize on the method they employ to maintain a water-balance in their habitats where water is seldom available. One of the most distinctive characteristics of reptiles is that, unlike few, they have a horny skin which is almost entirely covered with scales or cornified or simply larger structures known as plates. The horny skin serves as a resistance to the osmotic (the tendency of fluids to diffuse) discharge of water from the body tissues to the external environment consequently mitigating desiccation. 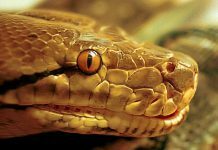 There are certain reptiles (such as snakes and lizards) that shed their skin once a year; a period in which their skin becomes absorbent of water. 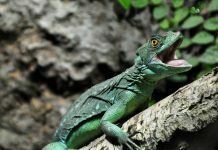 This is a critical period in the lives of these reptiles because now they are not only susceptible to predators but are also more vulnerable to water loss. Thanks to the grouping of integumentary impermeability with the innate preferences in reptiles which prevents a water-loss in the surroundings. Most reptiles have temporal openings which lie in the dermal bone surrounding the brain. These openings indeed enable the jaw-suspending muscles to break from the constraints of fossae and attached to the dorsal surfaces of the skull. 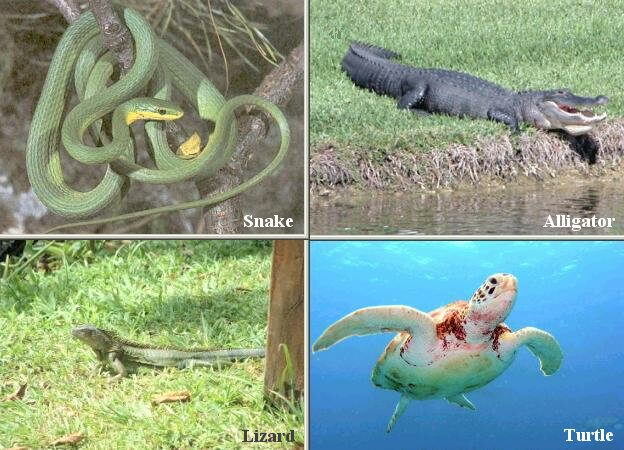 These openings differ from species to species since each reptile has its unique number and position of openings. Some reptiles, however, seem to lack temporal openings and they are called anapsid (without openings). 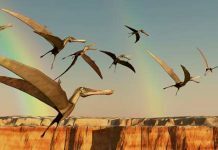 This group comprises the fossil order Cotylosauria, and these species are known as stem reptiles precisely due to their ancestoral association with the higher reptiles including birds and mammals. Turtles also fall in this group. 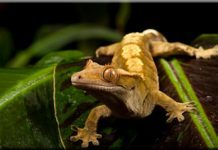 Reptiles are very diverse not only in their behaviors but also in their body structure. Their body ranges from crocodilians to squamates, tuatara, and turtles. In order to understand this fact, first we need to focus on the locomotion of lizards with fully developed legs. It’s true that few lizards are adept to move quickly than others, but the gait of all lizards is normally the same as that of salamanders. They have legs that are extended from the sides and must upkeep the body via right angles, thus reducing the body mass and speed. Mammals have legs right under their body mass that ensures a truly-advanced locomotion. Dinosaurs are exception to this structure in that they exhibit mammalian-leg-structure. All reptiles are ectothermic i.e. 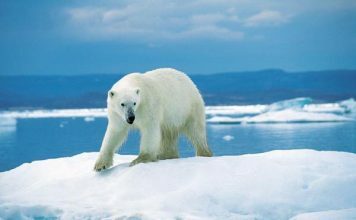 they get body heat from radiation and conduction; whereas birds and mammals are endothermic as they generate heat by their metabolic activity. This shows that reptiles have primitive structure while birds and mammals have advanced-level formation. 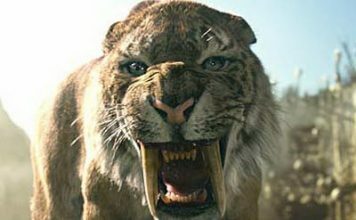 The reptiles form a major group of extant vertebrates and fossils, and they are diverse in size ranging from thread snakes to the sauropod dinosaurs, that are believed to be the largest animal ever walked on planet earth. Over the course of time, reptiles have evolved themselves into unique structures for e.g. snakes, dinosaurs, and turtles but they have also equally adapted the habits of other vertebrates such as dolphins and sharks. Reptiles which are believed to share some common traits are known as clades. c) that they have three-chambered heart (unlike crocodiles). Anapsida were earliest known reptiles that deemed to have lived some 323 – 317 million years ago. 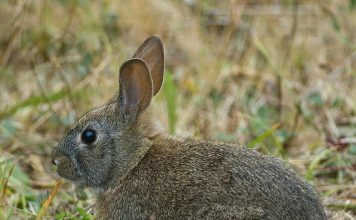 Anapsida were primarily insectivores as is evident from their small size and lizard-like appearance; besides, their jaws, skulls, and tooth structures suggest that they were insectivores. Turtles are anapsid reptiles that have evolved from Permian (290 to 248 million years ago). Turtles have a fairly unmistakable appearance in that they exhibit a hard shell which offers many important functions. Scientists maintain that turtle’s shell is composed of cavities and canals in which red blood cells are produced. Alongside protection, its shell also serves as a vital tool in regulating temperature. It does so by absorbing heat during the basking process. Additionally, turtles have the ability to soak up the oxygen in water through the blotches of skin in the lining of mouth, within the cloaca, or simply on its body. Some turtles tend to become rock solid (freezes) in winter and warms up as the winter ends, few frog species also practice the same. Turtles can also endure without oxygen for a fairly long period thus ensures their survival ability against critical injuries. One of the reasons as to how leatherback turtles survive in great depths is that they have a current-countercurrent blood flow which enables them to survive in intense cold. The proganochelydians order dates back to the Triassic period towards the early Jurassic time some 206 – 180 million years ago. They have a same shell as that of modern extant turtles but the limbs and head could not be retracted. They also had extra bones. Their skull did not have teeth except for a few on the palate. In this order, turtles seem to swing their neck sideways and thus they see with one eye. In cryptodires, turtles fold its neck in such a way that it still sees with both eyes. i) Bennett, A. F. The Energetics of Reptilian Activity.” In Biology of the Reptilia. Vol. 13, Physiology, edited by C. Gans and F. H. Pough. New York: Academic Press, 1982.
ii) Carol, R. L. “The Origin of Reptiles.” In Origins of the Higher Groups of Tetrapods” Controversy and Consensus, edited by H. P. Schultze and L. Trueb. Ithaca, NY: Comstock, 1991.
iii) Benton, Michael J. Vertebrate Paleontology. 2nd edition. Oxford: Blackwell Science, 2000.
iv) Hallam, Arthur, and P. P. Wignall. Mass Extinctions and Their Afteremath. New York: Oxford University Press, 1997. Birds are also reptiles. They are called avian reptiles, and they are endothermic. No one uses the term cold blooded anymore. its called ectothermic. It’s the same thing….They have the same meaning it is just a different word.